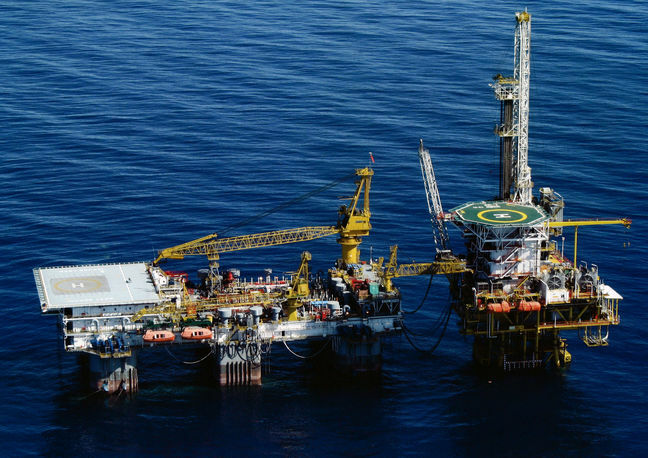 EghtesadOnline: Thailand’s state-owned PTTEP presented the result of its technical surveys on three Iranian oilfields, namely Balal, Changuleh and Dalpari, in a meeting with Iranian officials in Tehran on Saturday. Representatives of the National Iranian Oil Company, headed by deputy for development and engineering, Gholamreza Manouchehri, and experts from the Iranian Offshore Oil Company, Iranian Central Oil Fields Company and Petroleum Engineering & Development Company, attended the meeting on Saturday, which elaborated on the details of its studies on the oilfields, Shana, the Oil Ministry’s official news agency, reported. Based in Bangkok, the state-owned company is active in exploration and production of crude oil and natural gas. It was founded in 1985 and currently operates in 11 countries. Located in the western Ilam Province across the Iraqi border, Changuleh is estimated to hold 7 billion barrels of oil reserves. Production is expected to reach a maximum 75,000 bpd upon completion, Financial Tribune reported. Dalpari is another oilfield in Ilam. It is one of the country's underdeveloped fields, although its discovery dates back to almost four decades. Data show that Ilam holds 11% of Iran's total oil and gas reserves. Balal is an offshore field off the coast of Hormozgan Province in the Persian Gulf, close to Qatar's maritime boundary. The field, which became operational in 2002, is estimated to hold 117 million barrels of ultra light crude. Iran signed a memorandum of understanding in December 2016 with PTTEP on studying the three fields in western and southern Iran. Under the agreement, PTTEP was to present its findings to NIOC within six months along with a proposal to develop the three fields. Agreements of similar terms and conditions have been signed with other multinationals such as Norway’s DNO and Russia’s Gazprom Neft PJSC. NIOC has also signed MoUs with Vienna-based OMV Group and Korea Gas Corporation on carrying out studies on Dalpari and Balal oilfields respectively. Iran is pushing for major deals with multinationals to raise crude production. It is now pumping close to 4 million barrels a day, a level last seen before the tightening of sanctions in 2011.